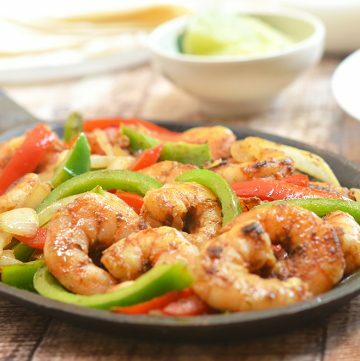 Easy to prep yet big on taste, these shrimp fajitas are what you need for dinner on a busy weekday night! 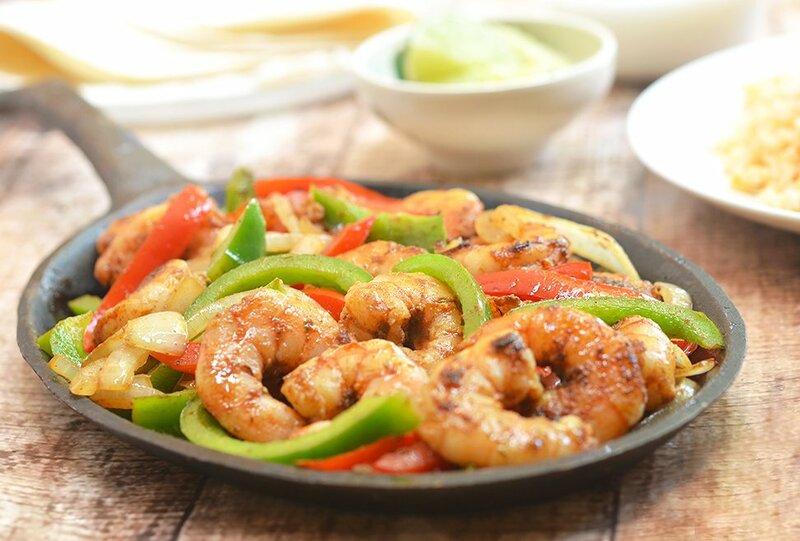 With seasoned shrimp, crisp bell peppers and onions, and your favorite accompaniments all bundled up in warm tortillas, they’re sure to be a family favorite. In the mood for Mexican food that’s short on prep yet big on flavor? 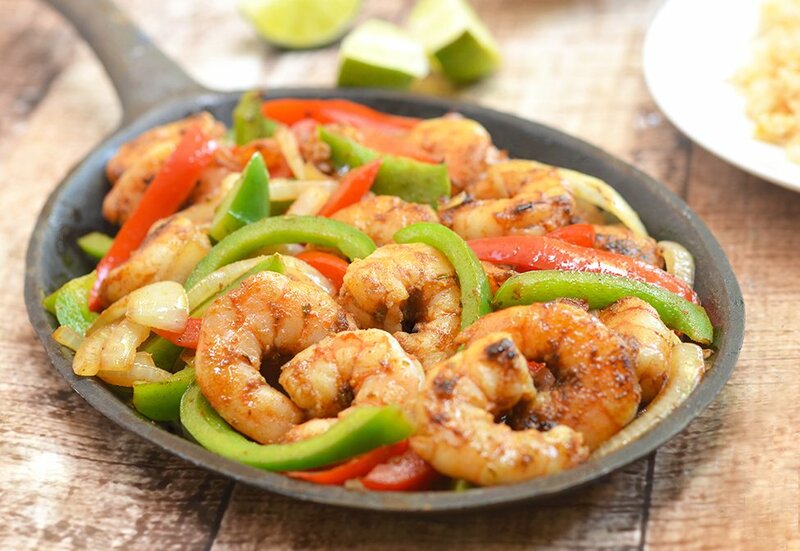 These shrimp fajitas got you covered! G is the red meat-loving half of our duo and the beef fajitas I make at least once a week are mostly for his enjoyment. 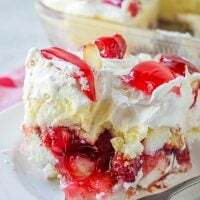 I am, on the other hand, more of a seafood kinda gal so when I want to eat with as much gusto as he does, I like to swap the beef with my favorite crustacean. Most of the shrimp fajita recipes I’ve encountered call for marinating the shrimps in lime juice along with the seasonings. I prefer to serve lime wedges on the side along with the rest of the fixings as I find the strong acids break down the shrimps, giving them a mushy texture I don’t quite like. I also recommend using head-on, shell-on shrimps if you can find them. Their flavor and texture is different and a whole better than shrimps that are peeled and then frozen. If you’re using a sizzling platter (cast iron skillet works well, too!) 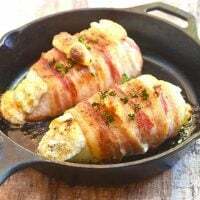 like the one pictured in the photos to serve, heat it up in the oven for a few minutes to help keep the fajitas hot and sizzling. 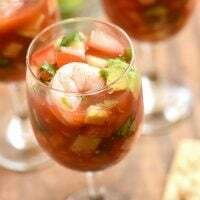 For various condiments to complete your Mexican feast, check out my recipes for pico de gallo and guacamole as well as for salsa verde and salsa roja. 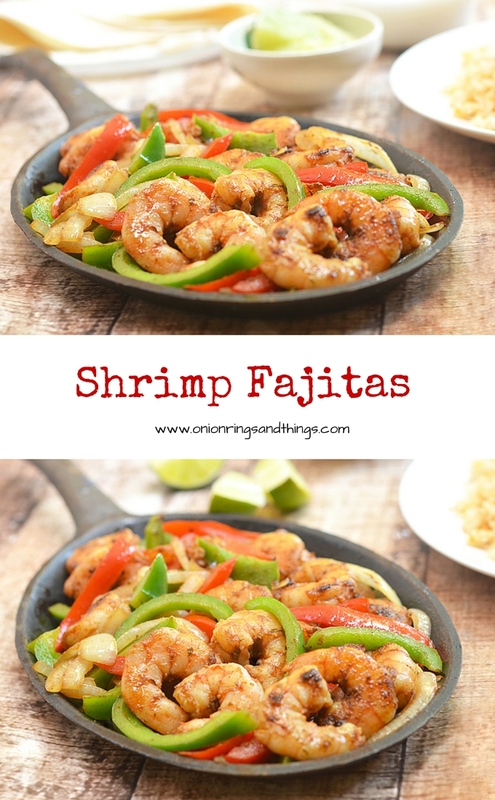 Easy to prep yet big on taste, these shrimp fajitas are what you need for dinner on a busy weekday night! With seasoned shrimp, crisp bell peppers and onions, and your favorite accompaniments all bundled up in warm tortillas, they're sure to be a family favorite. Heat sizzling platter or an oven safe skillet in the oven until ready to serve. Remove heads and peel shells of shrimps. Using a small knife, make a shallow cut on the back of shrimps and devein. Wash under cold running water and drain well. In a bowl, combine chili powder, cayenne pepper, cumin, oregano, garlic powder, onion powder, brown sugar, and salt. Whisk together until well-combined. Add the shrimp and 1 tablespoon of the olive oil. Massage mixture onto shrimp to fully coat. Marinate for about 10 to 15 minutes. In a thick-bottomed skillet over medium-high heat, heat 1 tablespoon of the olive oil. Add bell peppers and onions, and cook, stirring frequently, for about 2 to 4 minutes or until tender yet crisp. With a slotted spoon, remove from pan and keep warm. Add the remaining 1 tablespoon olive oil to the pan. Add shrimps in a single layer and cook for about 1 to 2 minutes, turn, and cook for another 1 to 2 minutes. Return bell pepper and onion mixture to pan. Continue to cook, stirring regularly, for about 2 to 3 minutes or until shrimp are cooked (DO NOT overcook as they will turn rubbery!) and vegetables are heated through. Carefully transfer fajitas onto heated sizzling platter. Serve with flour tortillas, sour cream, and lime wedges if desired. 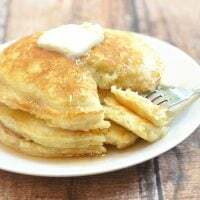 These look AWESOME Lalaine! I Love fajitas & they`re the perfect go to dinner, especially on a weeknight! Try adding a little Mexican Chorizo with the shrimp, onions & peppers sometime. A game changer!